With a month to the quarter-finals, FFC Frankfurt and Wolfsburg have rewarded their coaches with new deals; UEFA.com gets the latest on the quarter-finalists. Since the end of the German winter break just over a week ago both clubs have secured their coaches on long-term deals. First, Wolfsburg's Ralf Kellermann agreed a new contract until 2019 as he continues his quest to become the first coach to win three UEFA women's club titles after his successes with the Wolves in 2013 and 2014. Then Frankfurt gave caretaker Matt Ross a permanent deal running until the end of next season; the 38-year-old Australian had initally stepped up on an interim basis after Colin Bell left in December. On the pitch, Frankfurt resumed with a 4-1 win against Hoffenheim and then beat old rivals Turbine Potsdam 4-3 away with a last-minute Dzsenifer Marozsán goal. That took them into outright second, two points ahead of Wolfsburg and ten behind unbeaten leaders Bayern München after those sides drew 1-1. Tessa Wullaert equalised in the 90th minute for Wolfsburg, who had won 3-0 at Werden Bremen to begin 2016. A week later Frankfurt beat Köln 4-0 and Wolfsburg won 2-0 at Freiberg. Lyon began the year with three wins and 34 unanswered goals before travelling to Paris on 5 February and drawing 0-0 in a game both hope will be a UEFA semi-final rehearsal. Since then, Lyon have moved into the French Cup semi-finals with a 12-0 win at Orvault and 6-0 defeat of Dijon either side of a 3-0 victory at St-Étienne to remain three points clear of Paris, Ada Hegerberg taking her tally to 26 goals from 16 league games. Lyon recently signed Danish defender Line Røddik Hansen but she is ineligible for European games having already played in the UEFA Women's Champions League this season for Rosengård. Paris have also won all their 2016 games other than the visit of Lyon, including a 2-1 success at Montpellier to move ahead of their opponents into second place and a 2-0 cup defeat of Juvisy and 3-0 win against Metz in the quarter-finals. There have also been squad changes, with Lindsey Horan departing for Portland Thorns and Kosovare Asllani going to Manchester City, while Paris have signed experienced Brazil winger Rosana, once of Lyon, for the rest of the season. Brescia have been in fine form this year with six wins and a draw, taking them above both Mozzanica and Verona into first. Crucial wins have included a 4-2 triumph at Verona and Saturday's 4-1 success at Fiorentina, leaving those sides respectively four and five points behind both Brescia and Mozzanica, who meet in the next round of league games on 12 March. Until their 1-1 top of the table draw with Athletic Club, Barcelona were yet to concede a goal in 2016 after four wins and a draw; indeed, their defence has only been breached four times in 13 matches, including their 1-0 UEFA Women's Champions League round of 16 defeats of Twente. The run has kept Barcelona within four points of leaders Athletic. Barcelona's sole previous draw since the new year was 0-0 at Atlético Madrid, who the Blaugrana had overhauled for second place when the capital side lost 3-0 to Athletic the week before. Level on points with Sparta Praha when the four-month Czech league break began in November, Slavia warmed up for their European quarter-final debut with a January training camp in the Canary Islands. Then, on 13 February, they returned to competitive action, beating Brno 9-1 away to set up a Czech Cup semi-final at home to Slovácko, which Slavia won 3-1 on Saturday. The 21 May cup final will be Slavia's fourth in a row; they have lost two of the previous three to Sparta on penalties either side of a 1-0 victory against their neighbours in 2014. Rosengård will begin their bid for a fourth straight Swedish title on 16 April, a week before a possible European semi-final, but were back in competition last Friday when they hosted Kristianstad in the Swedish Cup last 16 and won 3-0 with a Marta hat-trick – their last official match before welcoming Frankfurt on 23 March. Rosengård had been busy in friendly action, beating LSK Kvinner 4-2 in a game consiting of three 30-minute periods, losing 3-1 at Manchester City, drawing 3-3 with Fortuna Hjørring and welcoming back Marta, the day before she turned 30, for a goalless 70-minute meeting with Malmö FF men's Under-16s. However, while Marta, new forward signing Gaëlle Enganamuit and another attacker, Nataša Andonova, are all now fit again, Amanda Ilestedt (back), Sofie Junge Pedersen (concussion) and Ali Riley (foot) remain sidelined. Two goalkeepers have signed with Canadian Erin McLeod on a permanent deal and Katrin Schmidt returning as cover for a one-month loan. They follow fellow arrivals Lieke Martens, Enganamouit, Iina Salmi and Ella Masar. 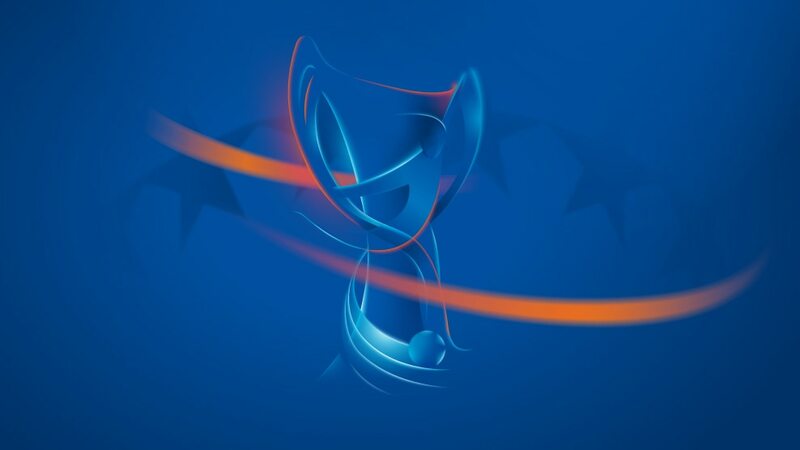 UEFA.com examines March's ties as Wolfsburg play Brescia, holders FFC Frankfurt face Rosengård, Lyon meet Slavia Praha and Barcelona take on Paris Saint-Germain. Paris Saint-Germain coach Farid Benstiti has predicted "a new attendance record and a lot of publicity for French women's football" after being drawn with Barcelona in the quarter-finals. As holders FFC Frankfurt prepare for their quarter-final with Rosengård, defender Saskia Bartusiak reflects on their mixed form, the departure of Colin Bell and her future plans.